Boredom is hardly a problem when you have three kids, each of whom are twenty months apart. Throw homeschooling in the mix and all this mom wants is the freedom to be bored—alone—for at least an hour. Boredom is not my problem; I struggle with pride. Tell people you stay home with kids and there is often an automatic assumption that you are lazy, unambitious, or uneducated. I have felt the sting as people turn away, not wanting to hear about my “mundane” life. I recently had someone talk about me like I wasn’t even there, and I was sitting right next to them! I had an “aha” moment as I realized that my feelings were wounded because of my own selfish pride. Even if you work full-time outside the home, you may have been made to feel as though your job was not glamorous enough to merit someone’s respect or attention. I could attempt to inspire you to “feel good about yourself,” but it is of greater value to take Christ’s approach. Our culture is all about self—self-improvement, self-help, selfies, and me-time. We wants likes, follows, shares. We want recognition. 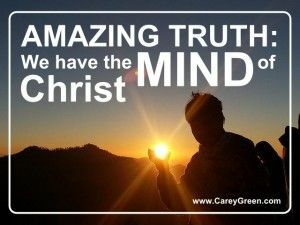 This text in Philippians calls us to have the mind of Christ. Even in human form, Jesus deserved all praise and honor, yet received little. He counted you and I of enough value to come to earth, live as a humble human, and die a violent death. He emptied Himself, showing us the way to live. If my Lord emptied Himself for me, I should do likewise for Him. Regardless of “what you do for a living,” living for Jesus is of greater value.We can live for Jesus no matter how lowly or how lofty our position in life. I long to be recognized, but the Lord calls me to serve without recognition. I love to care for myself, but Jesus calls me to care for others first. It does not matter what others think of my chosen career or of me. Even if my own children or husband fail to recognize my efforts on their behalf, it is of no consequence. I serve a God who sees every labor of love. This same God calls me to let go of my pride and serve with humility. I need to think of myself less and consider others more. Remember that our achievements and/or career are of little worth compared to the gift we have in Christ. We are God’s adopted children. We carry His name. We are fashioned in His image. It is God who gives us worth, not we ourselves. Lord, you see all my efforts and you recognize the pride in my heart. Teach me to empty myself and imitate Jesus’ example of humble service. Please fill my heart with your strength, your peace, and your love so I can pour it out to others. Remove the fog of selfishness from the lens of my heart so I can see clearly and serve effectively. When I fail, Lord, forgive. When I feel wounded, be the healer of my heart. When I forget, point me back to the cross. In all my efforts, Lord, may you be glorified. May my work show that Christ truly is living in me. This article originally appeared at the Courage.com. For more articles on faith family and culture, click here.